- Finish: Double, powder-coat finish protects against scratching, chipping and peeling. - Cables: Nylon-coated, self-lubricating, aircraft-quality steel cables. - Pulleys: Fiberglass reinforced nylon pulleys with v-grooved channels. Weight Stack: Solid cold-rolled steel plate, with Teflon inner bushings. Total Weight: 295 kg / 650 lbs. Weight Stack Steel: 100 Kg. Cushions: Durable high density cushion covered in stitched vinyl. Get a grip on your hips and thighs. 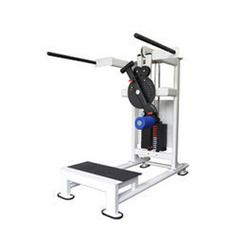 This machine helps you achieve the results where you want. 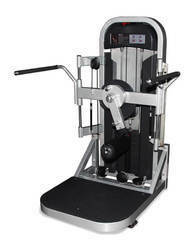 Unique adjustable range-of-motion allows yout to set rotation limits when performing exercises. And you will get maximum results on the inner thigh, outer thigh, hip flexor/buttock muscles. Features include an extra large no-slip platform.